Winter blew himself and Miss White away today by writing the most he has ever written before- 7 fantastic ideas! Awesome job Winter, what a great effort! 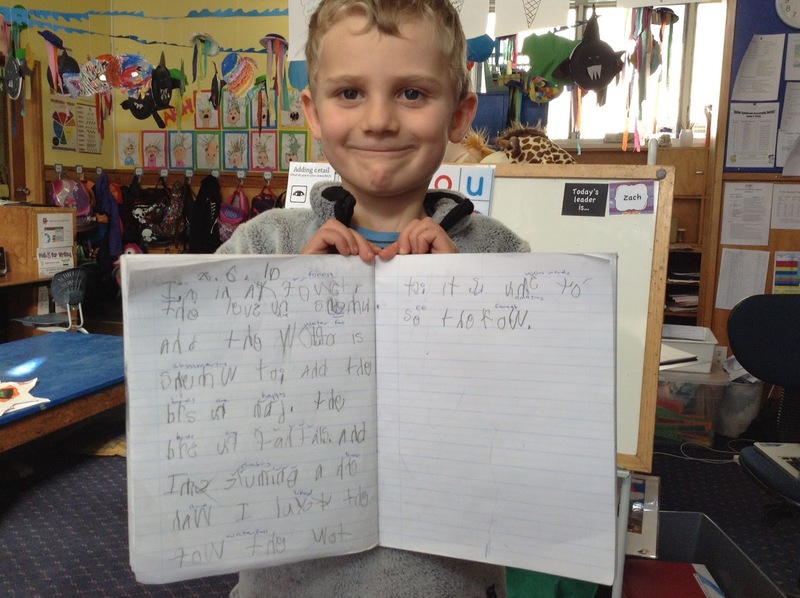 Today Room 8 had to really use their imaginations when they wrote. They listened to a soundtrack and had to imagine where they were and what what they would be able to see. There was lots of creativity flowing in our class today!